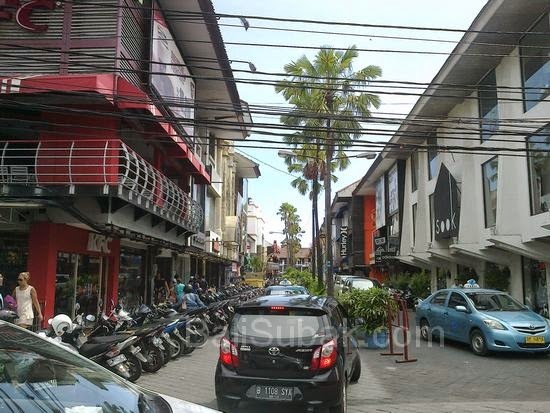 Kuta Square is located in downtown Kuta with various entertainment centers and hotels. Very setrategis layout, close to the beach, a wide selection of hotels, discotheques and a wide selection of cafes, a wide choice of restaurants. Kuta Square is always crowded, even though people just passing just look around and enjoy the atmosphere of the situation. Kuta Square is part of the attraction of Kuta Beach, located very close to the beach. This shopping complex is not so wide, but the complex is very well known as a complex of shops selling clothes of famous brands. 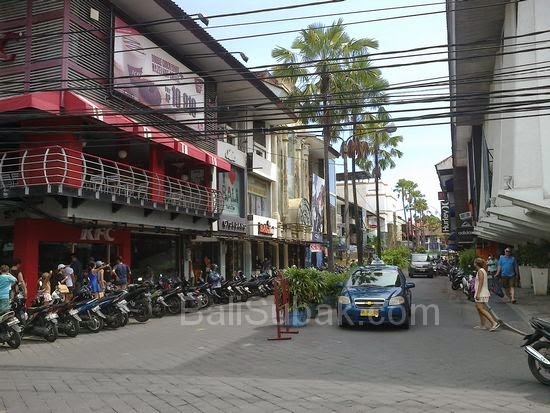 Kuta Square is also the center of commerce fasion in Bali. Also known as a shopping complex is expensive, because most of the clothes in a shopping complex on the site is to have a very expensive price. Part of what makes a cool atmosphere in Kuta Square is a palm plant that is in the middle of the road. The road can be passed by a two -way. The place is very crowded by tourists, as the site of the tourist crossings leading to the water park Water Bomb and a large mall. If you walk down this road, be prepared to be in the crowd of passersby. If using a car, you have to be careful crossing the road. Street in Kuta Square is very narrow. On the left and right of the road into a parking lot for motorcycles. Always traffic jams every day. The most frequent passing car is Taxi. At the end of the road is becoming Taxi parking lot, so the road is always the case of traffic jams. Matahari Kuta Square is the only supermarket and the most visited by people. Supermarket is the same as elsewhere, serves the needs of people at reasonable prices. This supermarket provides snacks, drinks, beer, shirts, pants, shoes, just like any other supermarket. The streets of Kuta Square is very pleasant, while exercising and enjoying the atmosphere. Although not shop, but the crowd at this place can make the heart glad and happy. With a lover or family, sitting in front of the store if gluttonous run. No need to worry if you feel tired, because there are plenty of taxis are available to take if you want to go back to the hotel.